One of our ultimate goals is to ensure clean, spacious and complete facilities to meet a diverse population of injuries and conditions. 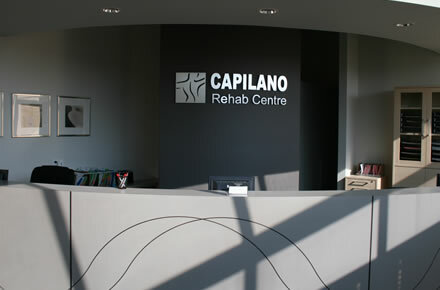 Leading Edge Physiotherapy at the Capilano Rehabilitation Centre, offers an innovative environment where we can help you to achieve your best. With over 6,000 square feet, Leading Edge Physiotherapy in Capilano is one of the largest rehab and sports medicine physiotherapy clinics in the province. Our facility is equipped with state-of-the-art rehab technology and therapeutic modalities, including the Swiss Dolorclast Radial Shock Wave Applicator, BIODEX Multi-joint Isokinetic System, Spinal Decompression Therapy (DTS) System, Magnetic Bio-Stimulation (MBS), and Footmaxx Dynamic Gait Analyzer. There is free parking available to our patients within the adjacent parking lot. Please call 24 hours in advance to cancel so that others may be able to fill your spot. Please bring clothing such as tank tops or shorts that will allow us to access the area you are having treated.